Chechen lightweight Mairbek Taisumov (28-5) stands as one of the consensus best and most underrated lightweights in the UFC. He holds an impressive six fight winning streak, all but one secured via T/KO, and it seems to be solely inactivity that’s hindered him from big fights and a top 15 ranking. 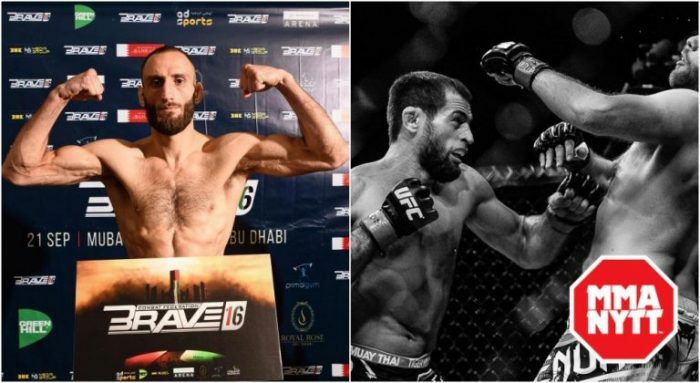 Taisumov is one of the divisions most avoided fighters – but not anymore. With the UFC returning to Stockholm, Swedish-Georgian lightweight Guram Kutateladze (10-2) chose to do what few have ever done in the UFC: Issue a challenge to the Chechen knockout artist. While he may not be a household name for mainstream MMA fans, however when MMAnytt held a poll asking readers to vote for the Swedish fighter deemed most deserving of a UFC contract, Kutateladze won by a landslide. “I know that Guram Kutateladze can hang with the best in the world standing. After all he’s gone to a decision with the former Glory champion Davit Kiria. Even his ground game is very good, as we could see against Erick da Silva in Brave. 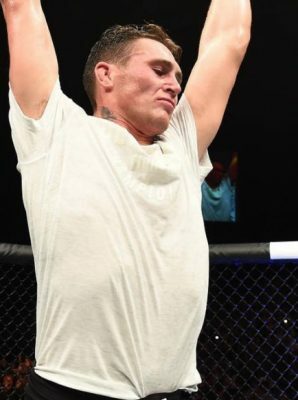 Erick is one of Darren Elkins main sparring partners and even his BJJ coach, who Guram dominated one the ground,” Kutateladzes manager Majdi Shammas tells MMAnytt. Kutateladze made his MMA debut at only nine years old, in an unsanctioned bout in Russia. Since then he has competed in several different martial arts, such as Sambo and kickboxing. He trains at Allstars Training Center in Stockholm alongside established UFC greats such as Alexander Gustafsson and Ilir Latifi, and holds an impressive seven fight win streak. He most recently knocked out Brazilian veteran Guilherme Cadena Martins at Superior Challenge 18. Taisumov was most recently active during the UFCs debut in Russia, where he defeated Desmond Green via unanimous decision. He also holds T/KO wins over Damir Hadzovic and Alan Patrick amongst others.